A practical guide to programming for data acquisition and measurement - must-have info in just the right amount of depth for engineers who are not programming specialists. 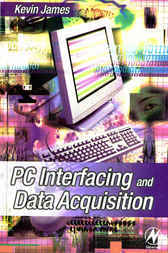 This book offers a complete guide to the programming and interfacing techniques involved in data collection and the subsequent measurement and control systems using an IBM compatible PC. It is an essential guide for electronic engineers and technicians involved in measurement and instrumentation, DA&C programmers and students aiming to gain a working knowledge of the industrial applications of computer interfacing. A basic working knowledge of programming in a high-level language is assumed, but analytical mathematics is kept to a minimum. Sample listings are given in C and can be downloaded from the Newnes website.